Secret: this picture was taken a couple days before 36 weeks. Close enough. Baby is due less than a month away! There is lots to do always, but life is pretty chill at the same time, since I stopped work early to spend time with Greg before baby comes. After not spending time together for six months, I figured it would be awesome. We are both off for a little bit. I am not going stir crazy yet, because I feel like there’s always things to do and we’ve been really enjoying it. There have definitely also been lots of naps. I feel like she is basically the size of a baby at this point, but my Ovia app keeps giving me new animals. We went to our doctor’s appointment today, and they estimated her to weigh about 6 lbs 10 oz! That’s about right on target for this week. I can’t believe she’s grown so much! It’s a totally normal size, but I go a little crazy when I think of chunky little baby legs. Good. I had some massive leg cramps the other day, but we are good today. I was very ladylike in our newborn class and stuck my feet up on the ledge. Gotta do what you gotta do. 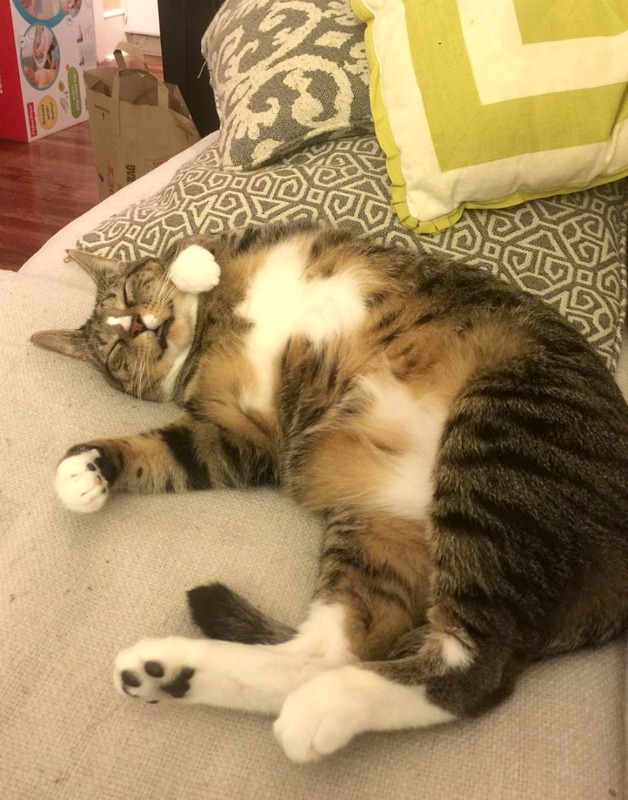 My cat understands the power of napping. Although, that’s kind of her job as a cat. No intense cravings like I had in the first trimester (or that one time I was a vampire who craved Chick-Fil-A; being a vegetarian can put a real damper on things), but Greg suggested we make Rice Krispie treats the other night and it was the single greatest idea we’ve had this week. It was even greater when he suggested they be Oreo Rice Krispie treats. They are so good. I’ve been eating them like crack. We made them at 10 PM after our newborn class; some things are important. when momma wants a sweet snack, momma deserves a sweet snack! I've never had Oreo rice crispie treats! Those sound glorious… You look so great at 36 weeks!! I'm glad you're taking some time off for you & your husband!! How great that you could take this time off work to spend together pre-baby! Look at that cozy kitty! 🙂 I often say that my dog is the best sleeper in the house. We took our class this past week too!! 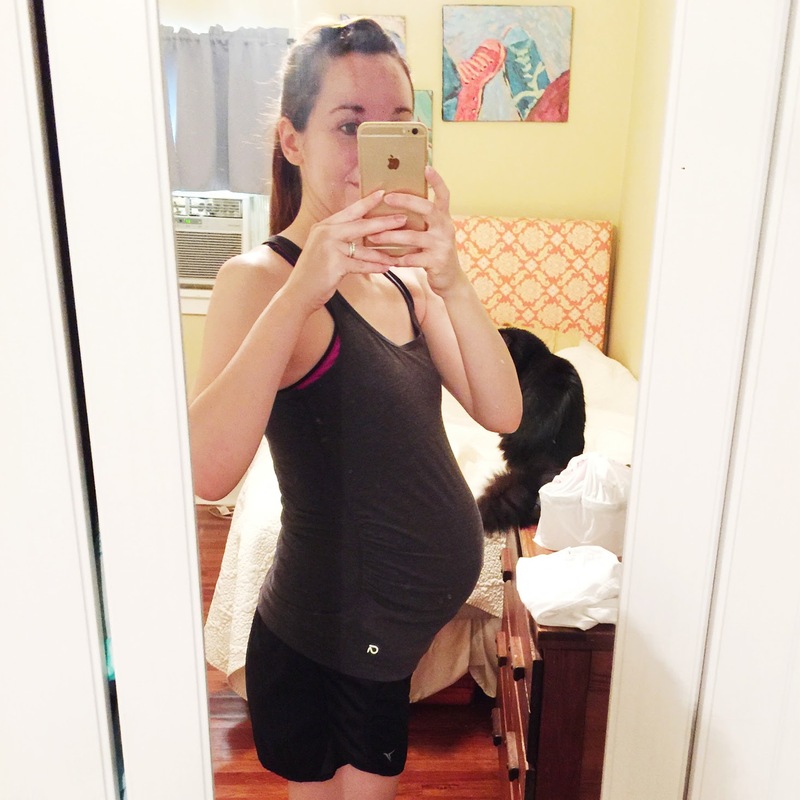 I know I say it every week, but your bump is so cute! 6 lbs 10 oz! She is going to be here before you know it! I saw your insta of those rice crispie treats and I am still cursing you because I WANT! I NEED! 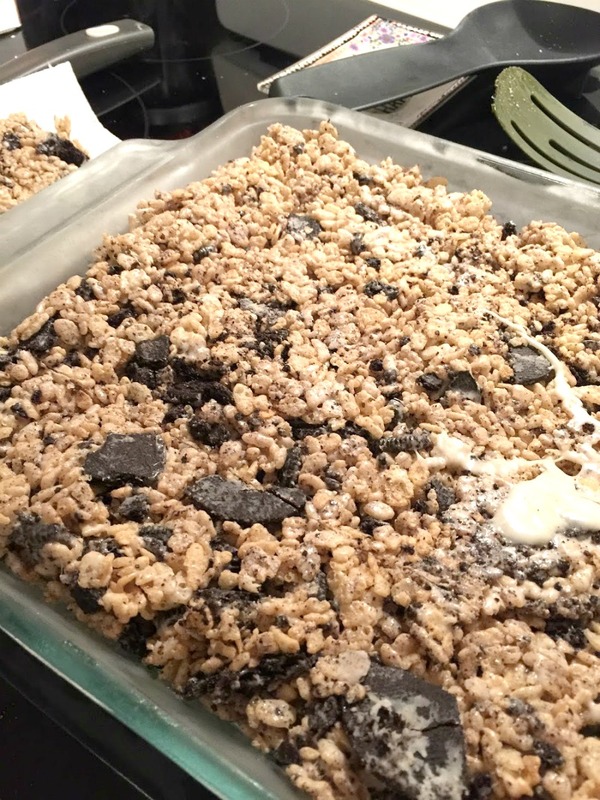 Oreo Rice Krispie treats?! YUM. sorry about your leg cramps, but the best time to act like a pregnant lady is at a newborn class, so you're good haha. 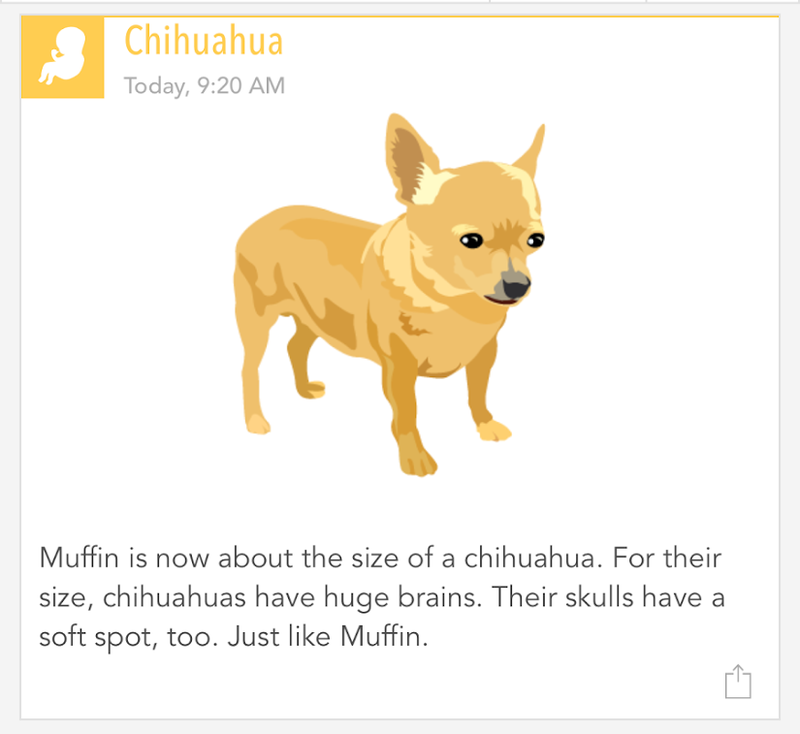 i can't believe you'll have a real live human who is not a chihuahua soon!